25 March, 2019 Benno JaeggiLeave a Comment on How Traditional Chinese Medicine Can Help with Infertility Problems? In this blog post, Balance Health is pleased to interview Dr. Ruth Lee – Registered Chinese Medicine practitioner. She will share with us the root causes of infertility problems, as well as give us an overview of how those problems can be successfully tackled with the help of Traditional Chinese Medicine (TCM). 1, Dr. Ruth Lee, thanks for participating in this interview. Infertility is a growing medical problem in the modern world. Do you often treat patients with infertility-related problems? Yes, I am a licensed acupuncturist, herbalist and practitioner of Chinese medicine specializing in women health and fertility. I have helped many previously infertile patients to get pregnant and stay pregnant. Some of them have already adopted assisting reproductive technologies, such as IVF (In-Vitro fertilization), and wanted to use acupuncture and herbals to boost the success rate before the egg is implanted into the uterus. Some just came for natural ways to regulate their body’s balance to get themselves prepared for the future pregnancy. 2, With years of experience in TCM, do you think that modern-day changes in lifestyle such as stress and unhealthy foods contribute to infertility? Sure, they do. People are eating processed and genetically modified food, seafood loaded with mercury; exposed to radiations, hectic work hours; all of them lead to problems such as abnormal fallopian tubes, hormonal problems, cervical infections and uterine troubles. They all will lower the reproductive potential. 3, In addition to those factors, what are the other causes of infertility among women? I would say aging is another major factor for female infertility. Research tells us that women become less fertile after the age of 35. And nowadays, women focus on building their career during their younger ages so they miss the golden time for conception. 4, Is infertility an increasing phenomenon among men as well? Yes, infertility can stem from the male factors, such as low sperm count, abnormal sperm shape, abnormal sperm motility, etc. Why is men’s body producing dysfunctional sperms? It is mainly due to hormonal irregularities and genetic disorders. Exposures to toxins like tobacco, alcohol or some drugs like steroid or antibiotics, radiations, heavy metal will all affect the normal sperm production or damage the DNA in sperm cells. And in TCM terms, these external pathogens will damage our Kidney, Liver, and Spleen Systems which will disrupt the internal balances of our qi (life energy) and blood flow. 5, Can you please share with us how TCM therapies can assist with pregnancy? Various studies done in the West and China have shown that TCM therapies, such as acupuncture, herbals, cupping, womb warming tuina and ear-seeds treatments, can address the underlying imbalances so that the body can function healthily. 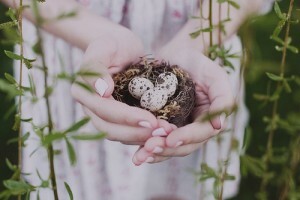 By applying the right treatments, it can help increase the qi and blood flow to the uterus, regulate the hormones to help with the growth and release of a mature and healthy egg during ovulation, improve the thickness of the uterine lining, stabilize the nervous system to allow the body to handle stress better and detox heavy metals inside the body. For men in particular, TCM can also help to stimulate the teste to produce normal and active sperms. These can improve the chances of conception. 6, How does an IVF (In vitro fertilization) acupuncture treatment look like? Before the treatment, I will first review the patient’s medical history and evaluate his/her body constitution, analyze the tongue and pulse characteristics. Then I will insert ultra-fine, sterile, disposable acupuncture needles into specific acu-points on the body along the selected meridians according to the diagnosis. The patient will lie still for around 30 minutes with the needles in place and infrared heat on top. Usually people find it very relaxing as it is a process of balancing the qi and blood flow. 7, How do Chinese herbals work for infertility? Chinese herbals have been used for healing infertility in the past two thousand years. The ancient masters found that reproduction functions are tightly linked to the Kidney system. They documented formulas that can heal infertility by strengthening the Yin and Yang of the Kidney, which are proven by current studies, very effective to promote hormone balance and regulate the menstrual cycle. That’s why Chinese herbals are not only great for facilitating fertility, but also for alleviating premenstrual syndromes like acne, cramps, tender breasts, bloating, backache, depression and anxiety. In addition, I strongly believe that Chinese herbal tea can act as a very potent anti-oxidant which can slow down the aging process — good news for those who try to conceive over age 35. Every time I see the patient, I will prescribe combinations of herbs that are uniquely tailored to his/her detailed health history. The personalized formula is carefully balanced to accentuate the patient’s strength and works for his/her particular form of infertility. It is made into powder form, which can be dissolved into water and taken just like instant coffee. 8, And if an infertile couple wants to come for IVF acupuncture and herbal, when should the treatment begin? True healing takes time. Primordial eggs cells take 120 days to mature before one is released during ovulation, so I will usually recommend my patients to take three to four months before progressing to IVF for a proper pre-conception care to ensure healthy egg quality. This will increase the chance of conceiving and decrease the risks of miscarriage In general, a course of acupuncture once or twice a week combined with herbals will have the best therapeutic effect. 9, Is there any lifestyle advice that you would like to share for couple who wants a successful IVF treatment? 1. Eliminate mercury containing fish, refined sugar, genetically modified food, caffeine and foods that you are sensitive to. 3. Limit your alcohol intake. 4. Watch out for workplace hazards. Use protective clothing, proper ventilation and face masks to reduce your risk of absorbing toxins. 7. Eat plenty organic food and fermented veggies. 8. Try relaxation techniques such as meditation, mindfulness training and journal writing to reduce stress. Disclaimer: The interview above is for informational purposes only. The practitioner and editor have attempted to verify information in this interview, but neither ones should assume any responsibility for errors, omissions, or your interpretation of the above contents. If you have any medical problems or healthcare needs, please consult your healthcare provider. How to increase Fertility with Chinese medicine? Acupuncture fertility, acupuncture for pregnancy, Chinese medicine for pre- and post-partum and natural fertility treatments. 5 August, 2015 Benno JaeggiLeave a Comment on How to increase Fertility with Chinese medicine? Acupuncture fertility, acupuncture for pregnancy, Chinese medicine for pre- and post-partum and natural fertility treatments. Chinese medicine to enhance fertility is a popular and one of the top options for natural and non-invasive therapies leading to pregnancy. Grace Yu, Chinese medicine practitioner, answered some of the more commonly asked questions about fertility treatment and TCM. Tell us more about how your journey began to become a licensed Chinese medicine doctor and acupuncturist. I am obtaining a PhD at the Guangzhou University of Traditional Chinese Medicine with a focus on gynecology and acupuncture fertility. My advisor and mentor Professor Luo Songping is an internationally renowned Chinese medicine women’s health gynecologist from whom I could learn a lot on various health issues for women including infertility. I also learned Craniosacral Resonance therapy in Taiwan that I sometimes apply in my therapies. For me a thorough understanding of the patients is very important. My goal is to help patients to boost their own healing power and body balance. 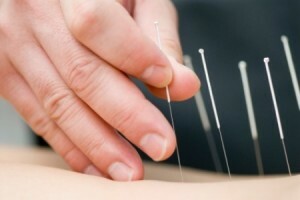 What questions should someone ask when first contacting an acupuncturist? Make sure your practitioner is licensed and a registered Traditional Chinese Medicine (TCM) doctor if practicing Chinese medicine. Experience counts a lot, so I would ask for how long the acupuncturist has been practicing. It is good to know if the practitioner treated someone successfully with a similar specific condition and to find out his or her feedback. You might also want to ask in what type of acupuncture (TCM, auricular, facial or scalp) the practitioner has experience since some acupuncture styles are known to be more effective to treat certain conditions. What does a typical TCM consultation involve? Looking. This includes an assessment of a person’s emotional state and wellbeing, and appearance and shape. One important factor here is a detailed look at the condition of your tongue, a reflector of your current health which is highly influencing your fertility chances. Listening. In particular, we listen for breathing sounds, coughing and the sound of the voice. Asking. We assess your past medical history and that of your partner. Your environment in terms of places, people, nutrition and diet is also part of our diagnosis. Pulse taking. We read the state of individual organs and the balance of qi, blood and yin and yang energy. Important here is also the function of kidneys as this is a major organ to determine fertility chances. How many sessions would someone expect to have before noticing an improvement? The treatment duration varies depending on your health issues. Patients with weaker body suffering from chronic conditions would need to restore their health for a longer period of time in contrast to patients that are healthy and just looking to improve well-being. Generally, for infertility treatment patients would usually see me over several months, with weekly appointments, as in that particular case we are aiming to restore overall body health and treat the root cause of an imbalanced body. How is Chinese medicine for infertility different to Western medicine? The ailments and disharmonies that are assessed in Chinese medicine are different to those in Western medicine. In Chinese medicine one would not treat a vitamin D deficiency but instead look at enhancing the yang qi (essential enery) and organs that are out of balance. The result might be a balanced vitamin supply but achieved through different methods. At the end of the day, each system uses different methods and different strategies all with the same goal: achieving a healthy and balanced body preparing you for a successful conception and pregnancy. Should I choose IVF, ICSI or Chinese medicine? Many of my patients see me while undergoing standard procedures with Western medicine such as IVF, IUI and ICSI. Chinese medicine can help at different stages and is a complimentary medicine that can support and enhance medical procedures. Chinese medicine promotes ovulation, egg development, sperm motility and count and prevents miscarriages. We suggest a treatment period of several months with acupuncture fertility prior to your conventional therapy such as IVF. Chinese medicine strengthens the kidneys, which are important for the reproductive system. It also strengthens the whole body enabling you to successfully conceive and carry the fetus. I also find it very useful to continue your Chinese therapy during pregnancy to increase chances of giving birth to a healthy baby naturally. Why would someone continue using Chinese medicine acupuncture during and after pregnancy? Acupuncture helps to ease common nausea, morning sickness and heartburn that can occur often during pregnancy. Thus it can help you to feel better and it can help to decrease stress by releasing the feel-good hormones into your body. Overall, it is a great natural painkiller that helps to ease discomforts without any side effects. It also lessens pre- and post-partum depression effectively. Another reason I find Chinese medicine useful during pregnancy is that it helps you to resolve a breech position (where the baby’s head is facing upwards) and makes the C-section delivery redundant. And finally, before giving birth it is one of the best natural tools to prepare the body for labor and make it easier for you to give birth. Is there anything you can recommend to live more healthy? You may assess our online body-type test to assess your current body condition without seeing a doctor. It will indicate any imbalances you might have. Prevention is key, and our tool helps you to understand your body condition and indicates those areas that you might need to pay more attention to. Other than that I am happy to see you at our clinic and give you a tailor-made and detailed plan on how to improve your health and well-being. Since everybody is different a different strategy will apply. The dip in temperatures outside means winter has finally hit Hong Kong, and with that comes the cough season and plenty of sniffing red noses conquering subways, schools and kindergartens. You’re probably going to spot one of them among your loved ones and you might even remember last year’s hit on your family – that week when your annual tissue consumption reached an impressive peak. So, how do you avoid it this year? Some ancient Chinese wisdom might do the trick, offering simple and effective ways to boost your kids’ immune systems and cure the little red noses with natural and mild alternatives to western medicine. Let’s enhance your parental toolbox and have a look at what Traditional Chinese Medicine can do for you and your kids. 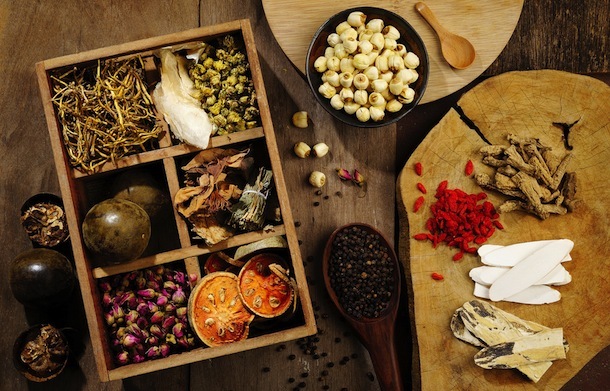 Traditional Chinese Medicine has a long history which includes the development of pediatrics within TCM, dating back to the first book on treatment of children called “Xiaoer Yaozheng Zhijue” in 1114 AD. The traditional Chinese childcare strongly focuses on what kids should eat, how much clothes they should wear and how much sleep is needed. What at first glance might look like a very protective way of child upbringing is actually based on a complex and sophisticated system within TCM. To understand this system, we need to take a closer look at how TCM views kids. Kids are growing humans, as much on the outside as on the inside. In our young age, organs are still immature and therefore more sensitive. Children’s lungs are yet to be fully developed, but since our lungs are responsible for the circulation of our protectiveqi, weak lungs usually mean an inferior immune system. There’s also a strong connection between weak lungs and upper respiratory diseases such as colds, coughs, allergies and asthma. In autumn and winter especially, your lungs will need some extra help to keep up the necessary protective qi. Boil together in 400-600ml of water. Then lower the hear, cover the pot and let it simmer for 30-45min. Turn off the heat, leave it covered and let it rest of 15 minutes. 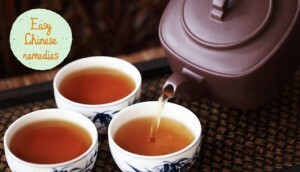 Then filter the tea and serve.Tip: This tea can only use for prevention but not for treatment of colds and flu. Another important organ that is often overlooked by western medicine is our spleen. Together with the stomach, the spleen is responsible for our digestion. Kids under 7 years have an immature and sensitive digestive system, which is worsened by our modern diets filled with unhealthy foods and sweets. This becomes especially problematic when we look at the close connection between the spleen and the lung: according to the Chinese 5-element theory, the spleen is the mother of the lung. And like in real life, when mama gets sick, the kids won’t be happy either: An improper diet causes a weak spleen, which will weaken the lung and trigger colds and coughs. A chronically troubled spleen may even lead to respiratory diseases such as asthma and allergies. By addressing the root cause and managing a healthy diet for your family, you can control these diseases easily. Avoid overeating and foods that are high in unnatural elements like processed foods. Opt for the organic choices as much as you can. I recommend to eat small portions of this congee as part of your three meals a day. Children are constantly growing and developing. According to TCM, this is accompanied by “Pure Yang” in the body, which easily turns into an overload of heat – your kid is on fire! There is good news and bad news. Bad news is, the lack of cooling Yin and an abundance of Pure Yang usually leads to liver heat. Your kid will have trouble sleeping or not being able to focus in school. In extreme cases, it might lead to ADHD. The good news is, your kids can use their Yang-power to recover very fast, too. To support your kid you need to take some of the heat out of their system. Simply drinking the right tea or other mild herbs will help to get the right balance back. Avoid foods that contain high amounts of growth hormones, like none organic milk and chicken. Stay away from deep-fried foods, barbecues or chips, as those foods contain a lot of heat. And again, choose organic foods wherever you can. If your kids are already starting to get the sniffles, Kid’s Health Chinese Medicine remedies can be a good alternative to western medicine, with some milder and safer treatments. Pediatric treatments can include acupressure or acupuncture, using small and pain-free needles specifically designed for children. Since younger patients usually don’t like to sit still, they will only be shortly pricked into the qi points and then removed again. More commonly, traditional treatment for kids involves light herbals, which are consumed as teas. Another common practice is pediatric massages, which you can also learn yourself and use as a comforting way to bond with your child. By simply observing the subtle imbalances in your body and integrating preventive TCM advices into your everyday life, you will find it easy to keep your family healthy throughout winter! Judy Xu is a Holistic Health Coach, combining integrative medicine from the West with the ancient wisdom of Chinese Medicine for a modern lifestyle that helps patients to naturally achieve balance and health. Judy believes that creating balance is the prerequisite for health and self-healing. In her coaching she takes a holistic approach to address imbalances and create a long-term basis for health. She enables clients to achieve weight loss, a peaceful mind, improve energy levels and manage stress. Judy is originally from Shanghai and a long-term resident of Hong Kong. She speaks and writes English and Chinese. Looks like alternative Chinese medicine treatments are getting under the skin of some big-name celebrities: or rather, on the skin. Chinese Medicine Acupuncture and Cupping therapy have long been used as a means of mobilizing blood flow in the body via the suction that’s created by the cups. It is also a great way to relax after a particularly stressful 9-5’er. But celebrities too have been caught attending fancy do’s with obvious signs of cupping (temporary marks are left by the cups). Celebrity fans of cupping include actors like Gwyneth Paltrow and Jennifer Aniston and singers like Jessica Simpson and Lady Gaga, as well as Victoria Beckham. Event sports starts like Andy Murray have used it to relieve stiffness and free up stagnating energy. 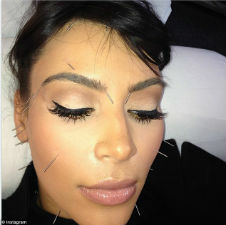 Facial acupuncture is trending as well among stars such as Kim Kardashian. Contact us for your own acupuncture and cupping session. Treating People, not Diseases. Know Your Chinese Medicine Body Type. 7 August, 2015 Benno JaeggiLeave a Comment on Treating People, not Diseases. Know Your Chinese Medicine Body Type. Prof. Wang Qi from Beijing University explains the story behind the Body Type System. One of the most fascinating treatment methods in TCM is to determine the Body Constitution Type. Oriental Health is working with this system, because it enables the doctor to identify the optimal treatment for every patient. Even more importantly, it gives the patient the chance to understand the own body and live healthy. On the International Conference of the Modernization of Chinese Medicine & Health Products in August 2014 we were honored to talk to one of the most important figures for the development of the Body Constitution Type System, Prof. Wang Qi from Beijing University. Prof. Wang, thank you very much for this interview and sharing your thoughts with us. For many years you have been doing intensive research on TCM, and you already published a great volume of scientific literature in national and international journals. Regarding your research on the Body Constitution Types, we would like to know: When you started your work thirty years ago, what was your original motivation? My motivation… Well, I was wondering: How come we can cure one person with a certain drug easily, but for the next person the exact same medicine doesn’ t seem to work at all? Is the medicine gone bad within a blink of an eye? Or is it something else, that we might overlook? If two people have the same illness, but the same treatment can’t cure both of them, we shouldn´t wonder about the drug, but switch our focus to the patient. Every patient is different, so the treatment must reflect that. In fact, we must change the order of treatment altogether: Patient comes first, only then followed by the illness. In a second step it is then important to make sure we don’t look at „Sick People“, but at „People’s Sickness“. Could you explain to us how the system of the Body Constitution Types / Chinese Medicine Body Type came to life? We were looking for a modular framework, that could easily be applied to all kinds of different patients. So we started our project and categorized health statuses, illnesses and their similarities of 12000 probands. It took a while, but step by step we managed to reduce the categories and in the end we established nine different Body Constitution Types. Similariy we developed a questionnaire to identify each patients constitution easily. From your experience, how long does it usually take for a patient to reach a balanced level? Once identified, the doctor will consider the Body Constitution Type and chose the treatment accordingly. Due to this customized but easy to apply treatment, the recovery of the whole body system to a balanced level will usually need only half a year, followed by another six month of stabilization. Now let’s have a look at the bigger picture. Where do you see the Traditional Chinese Medicine on an international level? In your opinion, does TCM apply to everybody and can non-Asians profit from it, too? As I said, every patient is unique. Moreover, the environment and circumstances we live in vary a lot. But as we look closer at China, we see a vast country with many kinds of geology and living circumstances. People from Guangzhou and Tibet traditionally differ in diet and lifestyle as well as their looks, but still the Body Constitutions apply to both of them. It works, because the system assesses the individual body traits, not race or skin color. Interestingly though, living circumstances and DNA play a vital role as they can influence the proportional distribution of the Body Constitution Types in a society. Could you give us an idea about the future of TCM? For example, may we ask what are you currently working on? We currently analyze which Body Constitution Type is prone to which illness. We know for example that among Blue Discomfort Types a common illness is Depression. If patients and doctors are aware of these susceptibilities, spotting symptoms and curing developing illnesses will be much more effective. And even though the Body Constitution Types already play a successful part in the Chinese Medical System, much work still needs to be done to ensure greater access for every patient. Especially in rural areas with only a limited number of hospitals preventive measures will be of tremendous help. A broader knowledge of the personal constitution and helpful nutrition will empower everybody to take care of their own health. Nasal allergy (also known as allergic rhinitis), allergic asthma and eczema are some commonly found clinically atopic diseases. General public might view them separately as three different diseases. Yet being a doctor, we usually see these conditions, either two or three types, happening at the same time. Why’s that? In general, it is more comprehensible that one suffers from nasal allergy and asthma at the same time since both diseases are related to pathological changes of the respiratory system. One of the Chinese Medicine concepts says that “the nose is the opening of the lung”. Continuous stimuli and inflammatory responses can cause nasal allergy. If it spreads out to the lower respiratory tract, asthma could be triggered. Eczema, which is a kind of pathological change in the skin, might not seem to have any relationship with the respiratory system but it is actually related. In Chinese Medicine the “lung is a connector of skin and hair”. Therefore, eczema, nasal allergy and asthma are all interrelated. To summarize, the three mentioned diseases are considered as atopic diseases which is their common ground. The presence of atopic diseases is usually related to the patient’s body status. Patients who are not able to withstand extrinsic stimuli well respond vigorously and their body triggers an allergic reaction! Chinese medicine believes that in this situation the body has a “deficiency of Qi”. Western medicine in general would treat the patients suffering from the above diseases with anti-allergic drugs, and/or steroids, and/or antibiotics. The effect is insignificant and might repeat the responses again. Long-term intake of such medication could cause various levels of side effects such as pilosity, moon facies, buffalo hump (symptoms of Cushing’s syndrome), high blood pressure, diabetes and osteoporosis. Chinese medicine would view the above diseases as a proof of the “deficiency of Qi” (正氣不足 zhengqibuzu) with Qi deficiency in both, lung and spleen. The treatment should mainly benefit and nourish the lung and spleen. The spleen should be nourished based on the earth element* in order to tonify the lung (metal element*), while reducing sputum and clearing dampness. What Is Menopause and What Are Its Main Symptoms? Menopause occurs as a natural part of a woman’s life transition. As a woman ages, her ovaries slowly stop producing the estrogen hormone, leading to biological changes throughout the entire body, from the brain to the skin. Menopause is not a disease, but for many women these hormonal changes bring about many unwelcome side effects that require medical intervention by health care professionals. The main complaints associated with menopause are hot flushes, genital atrophy, insomnia, and psychosomatic complaints such as irritability, depression and mood swings. These symptoms will usually last for 2-3 years but in some serious cases they can last for 5-10 years. Women experiencing such symptoms should not be alarmed. According to recent research, in the US 80% of women who go through menopause experience light to severe menopausal symptoms; in both cases there are many solutions available. If you do suffer from the physical or mental symptoms mentioned above, please seek support as those that neglect to do so risk subjecting themselves to hypertension, heart attack, arteriosclerosis, or bone fracture due to osteoporosis. Hormone Replacement Therapy (HRT) is commonly used to treat menopause symptoms in Western medicine. The purpose of HRT is to supply the body with an external source of hormones, including estrogen and/or progesterone. Premarin (conjugated estrogen) and Provera (medroxyprogesterone) remain the most popular brands. However, recent research has indicated that the beneficial effects of HRT might last only up to 16 weeks, after which no difference was observable between the placebo and the control group. Despite the possible benefits, there are numerous controversies surrounding estrogen replacement therapy due to the staggering number of side-effects, including (but not limited to) an increased risk of breast, uterine or ovarian cancer, gallbladder diseases, and liver diseases amongst others. Progesterone is prescribed with estrogen to minimize the risk of cancer, however, it can cause side-effects such as an increase in cholesterol levels, edema, weight gain and bleeding. Due to these side effects, women who have a family history of hormone related cancer, liver and kidney disease or diabetes probably should avoid HRT. •	Chinese Medicine is a holistic treatment; treatment is based on syndrome differentiation. It analyzes the root cause of each individual’s symptoms and offers a specially tailored herbal therapy that not only addresses the symptoms but also corrects the fundamental imbalance inside the body. As a result, women can leverage this unique life transition period not only to replenish but also to strengthen the immunity system, prevent issues such as osteoporosis or cancer, and prepare the body for a healthy and long life in the years to come. •	Chinese Medicine effectively treats menopausal symptoms; it is safe and does not have the same side effects seen in the application of Western hormone therapies. The Chinese Medicine approach involves leveraging the natural healing power of herbs to slow down the aging process of the reproductive system, and increase its capacity to generate essential hormones during the process. If the change is slow and gradual, it makes it a lot easier for the body to adjust. This is very different from the HRT approach, wherein the injection of hormones into the body often decreases the body’s capacity to generate its own hormones. This is probably one of the reasons that the benefits of HRT wear-off after 16 weeks of usage. Chinese Medicine regards the root cause of menopause as being the result of; a weakening of the kidney, weakness in the reproductive organs, a lack of Yin (water, blood, body fluids) and hampered Qi and blood circulation. A lack of fluid inside the body leads to obstruction of the circulation to the liver and hence leads to an excess of heat accumulating inside the body. Internal humidity and restricted blood flow further exacerbate menopause. Even though a weakened kidney is often seen as the root cause of menopausal symptoms, the spleen, heart and liver can also be implicated. An excess of heat along with the production of phlegm in the heart & liver are often cited as major causes of symptoms. A given treatment should focus on the (1) kidney or (2) liver, spleen and kidney, or (3) heart, liver and kidney, or (4) the phlegm and slow blood inside the body. The practitioner will often offer treatment based on the combination of causes highlighted above. Chinese Medicine can simultaneously target the symptoms and the root causes, making it very effective. In the case of menopause, Chinese medicine can replenish internal energy flows, whilst strengthening key internal organs including the kidney and liver. The body can be cleared of internal blockages & accumulations, which are often the source of common symptoms. Chinese medicine can help patients to reach new levels of balance in the body, improving the body’s overall health in the long-term. Furthermore, herbal therapies can also be complimented with acupuncture, moxibustion, Tui Na, cupping and so forth to improve blood and energy circulation. Other elements of a patient’s lifestyle – particularly one’s diet and exercise regime – also need to be adjusted to maximize the benefits of Chinese medicine therapy, and to live a healthy life through the menopause period and beyond. We will share more information on such diet, exercise and lifestyle adjustments in our future blogs. Many people in urban cities often feel uncomfortable in their body, dull and exhausted due to their busy and stressful lifestyles. What’s more, they may have a poor quality of sleep, poor appetite, patchiness on their faces and even constipation. Under such circumstances, the difference between Chinese and western medicine becomes evidently clear: A health report based on western medicine could conceivably consider these people healthy, as it is what the data shows; Chinese medicine on the other hand would very likely diagnose these people as having a suboptimal health. That is, a state of health which renders the human body on the verge of being sick. More specifically, a western diagnosis fails to address the obvious loss of balance inside the body. In all likeliness these people are lacking in both Qi and Yin energy; to shift from a sub-healthy to a healthy state, they have to replenish this energy inside their bodies. This difference in the respective outcomes of western and Chinese diagnostic approaches results from how Chinese medicine understands the human body. Chinese medicine believes that there is a certain balance that exists between a human body and its environment. There are always explicit causes behind the loss of this balance that result in a person getting sick. The balance can be distorted through excess or through suppression of a number of body attributes. The key to regaining balance according to Chinese medicine is to “replenish what is lacking; reduce what is too much”. Whereas Chinese medicine focuses on “macro—holistic diagnosis”, western medicine focuses on “micro diagnosis” at the level of a particular body part. The objectives of both Chinese and western approaches are to research and explore the (1) objective of regulating human life activities and (2) the methodology of prevention and treatment. Both approaches target the human being and disease. They each have their own medicinal systems due to their respective social, historical and philosophical differences. The strength of western medicine lies in the accuracy of treatment. For example, after a conclusive diagnosis western medicine can offer effective treatment with a particular drug to address a specific disease. Western surgery is able to target a specific body part. This being said, western medicine is not able to deal with some diseases such as Systemic Lupus Erythematosus, psoriasis, and colitis amongst others, even though said diseases may be accurately diagnosed. In addition, western medicines are not particularly effective for dealing with menstrual disorder, menstrual pain, functionality pothalamic amenorrhea and postpartum hypogalactia, whilst Chinese medicine offers good solutions through dealing with the root of their respective causes. Treatments in western medicine involving surgery, Chemotherapy, radiation treatment and targeted therapy have their own indications and contraindications. Take radiation treatment and Chemotherapy as examples. Although they effectively kill cancer cells, they also induce toxic side effects. Chinese medicine, in contrast, is holistic, immunity-strengthening, causing fewer side effects, and has long-term applications. Leveraged correctly these benefits of Chinese medicine can compensate for the weaknesses of western medicine. Arguably, the integration of Chinese and western medicine could offer better long-term healthcare and disease prevention. As the old Chinese saying goes: “a good effort on preventing a disease prevents the need to treat the disease”. This saying grasps the spirit of Chinese medicine: having a healthy lifestyle is the best way to avoid getting a disease. With a focus on prevention, Chinese Medicine has developed different ways to improve health; by moderating one’s diet, through body constitution diagnosis, through acupuncture, massage, moxibustion, through Qi Gong exercise, through leveraging the seasonal natural powers, and so on. On the other hand, if a person lives unhealthily, his or her will to be healthy will be nothing but an impossible dream. But how exactly can one leverage Chinese Medicine to avoid getting diseases or to treat disease more effectively? Stay tuned for our next blog! A recent study published in the journal Lancet confirmed long-held suspicions against the use of antibiotics when they showed no effect in the treatment of coughs. Children are particularly vulnerable since an overuse of antibiotics hurts their immune system and leads to less resistance against illnesses. How can we restore your kids health with a natural solution? Fortunately there are alternatives to treating mild forms of chest infections and coughs as Traditional Chinese Medicine is as useful today as it has been for centuries. Traditional Chinese Medicine is especially effective in the treatment of coughs because of its careful differentiation of the various types of coughs. For instance, coughs due to heat produce a sticky phlegm that’s difficult to spit out, so it is treated with cooling, moistening herbs and acupuncture directed at specific points on the body which clear heat from the lungs. By comparison, coughs due to cold is accompanied by chills and plentiful mucus. It is treated with warming, drying herbs and the application of moxibustion, a traditional Chinese medicine therapy using mugwort herb. Treating a dryness cough caused by wind is another possible type. Usually contracted due to overexposure to a dry environment, symptoms are a dry, non-productive cough accompanied by a sore throat with a ticklish sensation. The focus is to repel the dryness; a typical formula includes Sang Xing Tang, which helps moisten the lungs and repel the dryness. The treatment should be accompanied by a diet of soups and plenty of liquids. An experienced TCM doctor can differentiate the types and the root cause of a cough, and then applies unique techniques to not only fix the immediate symptoms but also address the illness at its source. Continued use of Chinese Medicine will tackle the root cause of the health imbalance and strengthen your child’s immune system to prevent an illness to occur in the first place. Jade Windscreen Tea, also known by its Chinese name as Yu Ping Feng, has been used by TCM practitioners for centuries to prevent the common colds experienced during the flu season. 2. Turn the heat down to a low simmer and cover. Do not lift the lid, as this will diminish the “flavor”. Cook the herbs for 30 – 45 minutes. Let the boiling liquid cool down for 15 minutes. Copyright © 2019 Oriental Health | Premier Chinese Medicine Clinic. All Rights Reserved.